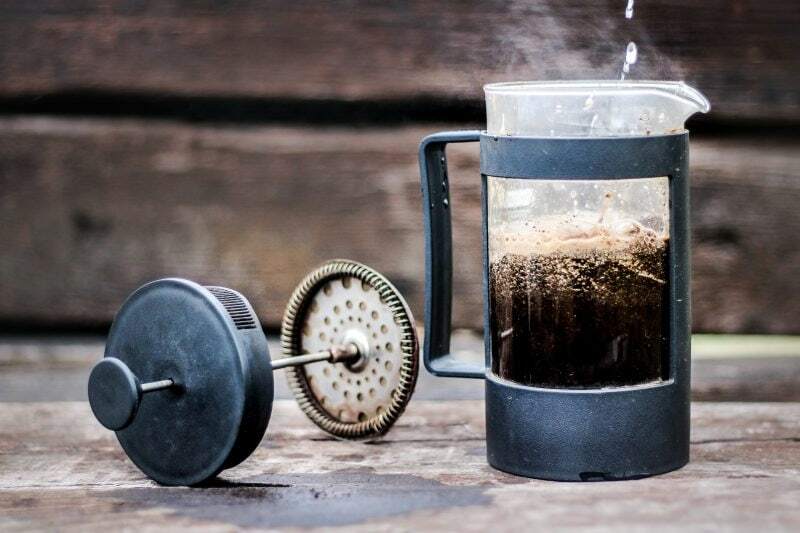 French Press vs. Drip Coffee - Which Brewing Method Is Best For You? French press or drip machine – which is the best? This debate continues to rage between coffee fans around the world as it has for decades past and will doubtless continue to do so for decades to come. French press or drip machine? Both of these coffee making machines are useful in different applications. The benefits of each lie in the coffee drinker themselves, specifically in their flavor preferences and their lifestyle. The French press is known by various names, including cafeteria, press pot, coffee plunger, cafetière, coffee press, and cafetière à piston. The French press is not French, but Italian. The design was first patented by designer, Attilio Calimani in the Italian city of Milan in 1929. Since then, this humble creation has become the mainstay of many hotel rooms and kitchen cupboards, albeit following a few modifications and improvements over the years. The French press is simple in design. A cylindrical beaker is filled with your preferred coffee grounds, and hot (not boiling) water is added. You stir the grounds briefly, put the lid on, and allow the grounds to steep. When the brew reaches the desired strength, you very slowly push down the plunger-filter. This action forces the floating grounds to the bottom of the beaker, leaving your brew unpolluted and ready to enjoy. So, making coffee using the French press sounds pretty straightforward. However, there is a knack to getting it right. Check out this article or watch the video below for the full low-down. 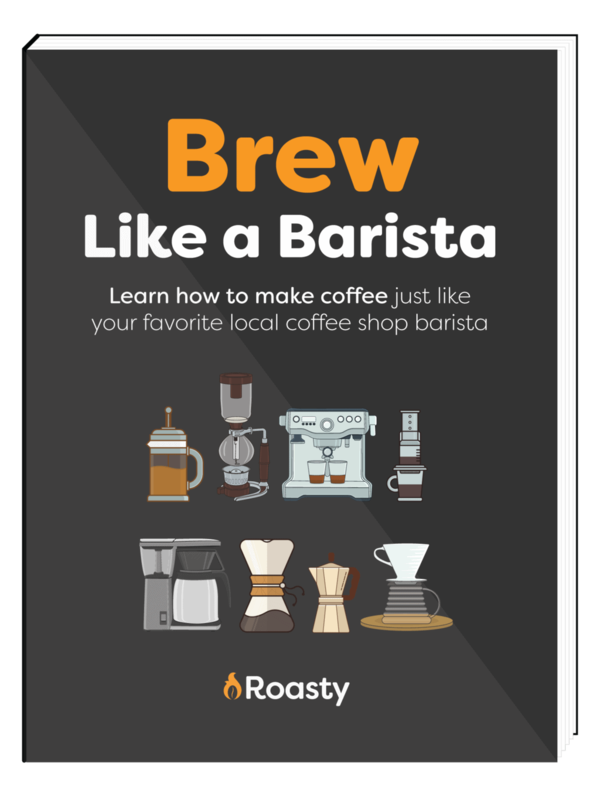 Drip coffee machines are found right across the globe in homes, offices, and in restaurants whose management is too mean to invest in an espresso machine. Drip machines are perfect if you want a hot cup of Joe on-the-fly and without having to wait for the coffee to brew each time you need a caffeine fix. You place a paper filter into the machine, add your chosen grounds, and then fill the reservoir with water. The water flows through into an aluminum tube contained inside the heating element. Once you’ve clicked the “on” switch, the heating elements heat the tube, bringing the water to boiling point. As the water boils, the bubbles created rise up a second tube. Small bubbles of boiling water flow into the drip area where the water is dispersed to drip evenly onto the grounds. The hot water passes over and through the coffee grounds, creating the delicious coffee, which then drips down into the waiting coffee pot that sits on a hotplate beneath. Now, you know how both devices work, let’s compare the good, the bad, and the ugly of each. One of the most significant advantages of using drip coffee makers is their capacity. An average drip coffee maker will yield up to 12 cups of coffee in just one cycle. Also, drip machines allow you to plan ahead. Because the coffee making process is closed, you can set the machine up in advance, without worrying that the grounds or water will be contaminated in the interim. When you’re ready to start brewing, simply flick the switch, and you’re good to go. By contrast, your average French press is only good for two to four cups of coffee, although there are a few versions that will make eight cups. Of course, the drip machine will keep your coffee nice and hot, so you can enjoy more than one cup if you want to. Capacity is also something to bear in mind if you like to have friends round to share a brew. With a drip machine, you’ll get to spend more time chewing the fat and less time making extra brews than you would with a French press. Also, any leftover coffee in a French press will quickly go cold. Although you can reheat the brew, the flavor will be spoilt. What about bean selection and grind? Now, every home barista knows the importance of bean selection. And most of us prefer to grind our beans, rather than buying ready-ground coffee. To find out more about grinding your own, check out this article. In addition to choosing the beans you prefer, producing your own grind allows you to choose the texture you want, and this is important when using both French press and drip machines. The French press requires a coarse grind, but the drip machine needs a medium grind. If the finished coffee grounds are too coarse or too fine, the result in both cases will be disappointing. This is down to the filter design in both devices, which demands consistent and even coffee grounds to extract an equal ratio of coffee from every ground bean. If you need your morning coffee ASAP, the time it takes to make it will be crucial and could be a deal-breaker when deciding which brewing option to use. The average time taken to produce a brew using a French press is 5 to 8 minutes, allowing a few minutes to boil the water and a couple more for brewing time. A drip machine will take a little longer at five to 10 minutes. You have to wait for the machine to heat up, brew the coffee, and allow it to drip down into the coffee pot. Clean-up time for both methods is much the same. The French press just needs a simple rinse and swish. The drip machine’s coffee pot needs the same and a simple filter change. Making a cup of coffee is easy; making a perfect cup of coffee is an art form. So, which method best allows you to practice your art? Making coffee with a French press allows you to unleash your inner barista. There are lots of variables to play with in comparison to a drip machine: grind, brew time, water temperature, plunge rate … and so on. Novice baristas may find that the French press takes practice before perfection is achieved. You can’t go too far wrong with a drip coffee machine. You measure out the correct amount of coffee (see the manufacturer’s instructions), load the machine with your grind, fill the reservoir with water, and remember to switch the machine on. It’s really difficult to make a Horlicks of it. I mean, seriously. When it comes to reliability, there’s only one winner. The French press has no mechanical parts. The worst that could happen is that you drop the glass beaker on your tiled floor, resulting in terminal damage. At the end of the day, a French press is not expensive to replace, should the worst happen. Drip coffee makers are also pretty reliable. The main potential flies in the ointment (or indeed in your coffee) are an interrupted electricity supply or a broken heating element. A French press can travel with you wherever you go. All you need to brew-up is your favorite grind, and a means of heating some water. The French press will easily fit into your backpack if you’re heading off-piste into the wilderness or to the beach, whereas a drip machine … now, that’s just ridiculous. What about the finished brew? So, you’re serious about your coffee, or you wouldn’t be a regular visitor to our site. Therefore, it follows that the flavor of the finished brew is all-important to you when deciding which brewing method to use. The degree of control that you have over all the variables that come with using a French press ensures that you can be confident of a perfect mouth on your brew every time. With a drip machine, although you can still use your favorite grind, much of the flavorsome oils are removed from the coffee by the filter paper. Consequently, some bean-heads complain that the finished brew is light and somewhat insipid in flavor. It’s also worth bearing in mind that drip machines can effectively boil your coffee to keep it hot. The longer the coffee has been in the pot, the more stewed and bitter it will be. Thanks, but I’ll pass. Therefore, for maximum, pure coffee flavor, a French press is the way to go. French press versus drip machine – the winner? A French press gives you total control over the many variables involved in the brewing process, resulting in your perfect Java. Your French press won’t keep your brew hot for long. However, cleaning up and preparing a fresh brew doesn’t take much time or effort. Drip coffee machines are ideal if you don’t have the time to make a fresh brew every time you want one during the day. Drip machines can let you down if your power supply is interrupted or the heating element fails. If you want a perfect, tailored brew that tastes great, go for the ultra-reliable French press. A drip machine could be the better option for you if you need an endless supply of cups of coffee throughout the day, without the hassle of making a fresh brew each time.